Be it unexpected shifts in power, the loss of an influential industry icon, a celebrated professional victory or collaborations made from the stuff of dreams, 2014 certainly sported its share of memorable design moments. Our countdown showcases this multifaceted year at its liveliest, underscoring design’s calculated yet volatile nature. Known more for his soulful rock anthems, Lenny Kravitz’s dabbles in design have become increasingly noteworthy in the last few years. Having previously designed for Kartell and Lea Ceramiche, the musician’s upcoming collaboration with Idaho-based Rocky Mountain Hardware, a specialist in bronze architectural hardware, feels apt. The collaboration will give way to a new collection of hardware for doors and cabinetry in early 2015, undoubtedly bearing Kravitz’s edgy aesthetic. Interior Design hosted its 30th annual Hall of Fame. Yes, we did! The entire industry gathered, for the 30th time, to celebrate inspiration, vision, and sheer excellence in architecture and interiors. And this year’s group was jaw-dropping: inductees Hagy Belzberg, David Lake and Ted Flato, Paola Navone, and Andrea Woodner, all joined onstage, specially, by almost 40 of the existing members whose work has created the “A” in Absolute Achievement as far as global design is concerned. The Museum of Modern Art taps Martino Stierli as its new chief curator of architecture and design. A professor of modern architecture, Stierli replaces predecessor Barry Bergdoll and will work alongside Paola Antonelli, MoMa’s senior curator of design, in his new role. Partnering with Canadian architect Raymond Moriyama, the Royal Architectural Institute of Canada announces the launch of a major architecture prize. Known formally as the Moriyama RAIC International Prize, the award, valued at $100,000 CAD, will undoubtedly give the Pritzker a run for its money. The prize will be awarded every two years through an open competition. This year’s Serpentine Gallery Pavilion at London’s Kensington Gardens was something of a brilliant illusion, reiterating the idea that architecture is at times not what it seems. Designed by Chilean architect Smiljan Radi?, the cavernous, boulder-like structure exudes the feel of a great weight while exhibiting an inherent lightness (its exterior is composed of lightweight fiberglass). Less than two years after taking on the position, Claudio Luti is out as president of Salone Internazionale del Mobile. Luti’s resignation coincides with the acquisition of Cosmit, the annual furniture fair’s organizing body, by an association of Italian furniture producers known as Federlgno Arredo. Appointed by the association, Roberto Snaidero takes the reigns as the Milan-based fair’s new president. Aussie industrial designer Marc Newson officially joins the Apple design team, rounding off 2014’s flurry of dream design pairings. Working alongside Jonathan Ive, longtime friend and senior vice president of design for Apple, the outspoken Newson is lauded for his work in fashion and accessories. Ive and Newson previously collaborated on a new camera design for Leica. One of Denmark’s foremost designers, Hans J. Wegner would have been a century old this year. To commemorate the milestone, Carl Hansen & Son turns out a special edition of Wegner’s iconic Wishbone Chair. Crafted from 100-year old beech wood ethically sourced from Funen, Denmark, the design is stunningly reestablished as a classic, emerging as the ideal complement for its precious, natural wood material. Japanese architect and Interior Design Hall of Fame member Shigeru Ban lays claim to the 2014 Pritzker Prize, picking up the torch from compatriot Toyo Ito, last year’s laureate. Garnering acclaim for his innovative use of cardboard as part of disaster relief efforts (the earliest designs surfaced in aid of the 1995 earthquake in Kobe, Japan), Ban is also known for utilizing shipping containers as permanent and temporary housing. The San Francisco-based hospitality service Airbnb surprises the world with a top-secret branding overhaul that cements the company’s ascent from tech-oriented business to ubiquitous lifestyle brand. Its suggestive new logo—a looped, A-shaped insignia resembling a birdhouse—gets the most attention, inciting reactions ranging from awe to scorn. Herman Miller reaches an agreement to acquire Design Within Reach. The acquisition of DWR, an authored modern design brand based in Connecticut, is indicative of the Michigan-based furniture retailer’s move towards diversified growth. According to CEO Brian Walker, the company’s aim is to “help people create inspiring places where they work, live, learn and heal.” The terms of the deal sees Herman Miller owning 84 percent of DWR, a stake valued at $154 million. The National September 11 Memorial Museum by Davis Brody Bond reaches completion, opening to the public on May 21. Snøhetta's strikingly fashioned entry pavilion, situated on the memorial plaza, was created as “a bridge between two worlds,” placing equal weight on the memory of those that perished during 9/11 as well as the physicality of the site itself. Maya Romanoff, the man behind the ingenuity and beauty at Maya Romanoff Corporation, passed away at the age of 72. He founded his namesake company in 1969 after discovering a tie-dyed t-shirt at Woodstock. His designs—rooted in the simple premise of dyed fabric, leather and silk—are now found in the permanent collection of the Smithsonian Cooper Hewitt Design Museum and the Art Institute of Chicago. Romanoff was an industry icon whose presence will be missed across generations. If there’s anyone who can give rise to an entire biennale on architecture by shunning the role of design, it’s surely Rem Koolhaas. The curator of this year’s Venice Architecture Biennale may have made waves as an agent provocateur in the past but Fundamentals, his chosen theme for the Biennale, sheds new light on the Dutch architect’s penchant for radical thinking as the nitty-gritty of the architectural discipline is brought unabashedly to the fore. Office furniture behemoth Haworth ups the ante by buying a majority stake in Poltrona Frau. Its $270 million deal with the Italian luxury furniture group means that Haworth now wields control over major brands such as Cappellini and Cassina, adding extensive value to a growing global empire that continues to generate billions annually through unmatched sales of office interior systems and furniture. The Museum of Modern Art moves forward with the demolition of the American Folk Art Museum building despite objections from the creative community at large. Designed by Tod Williams Billie Tsien Architects, the building, widely regarded as an idiosyncratic fixture of Manhattan’s Upper West Side, is reportedly being razed to make way for a MoMA expansion. When Massimo Vignelli succumbed to illness at the age of 83, it marked the end of an era. Spanning half a century, the Milan-born Vignelli’s prolific career hinged on a characteristically modernist aesthetic that took the form of everything from bookcovers to church pews. His visionary sensibility earned him international acclaim and a slew of prestigious awards, including the AIGA Gold Medal and the National Lifetime Achievement Award from the Cooper-Hewit National Museum of Design. Over four years of engineering research bore fruit when Frank Gehry’s long anticipated art museum for the Louis Vuitton Foundation opened in Paris this October. Featuring Gehry’s signature flourishes, the eye-catching structure boasts curved sails rendered in glass and steel that play on the changing Parisian light. Set above pools of water fed by a staircase cascade, the museum houses eleven large galleries as a well as a 350-seat modular auditorium. 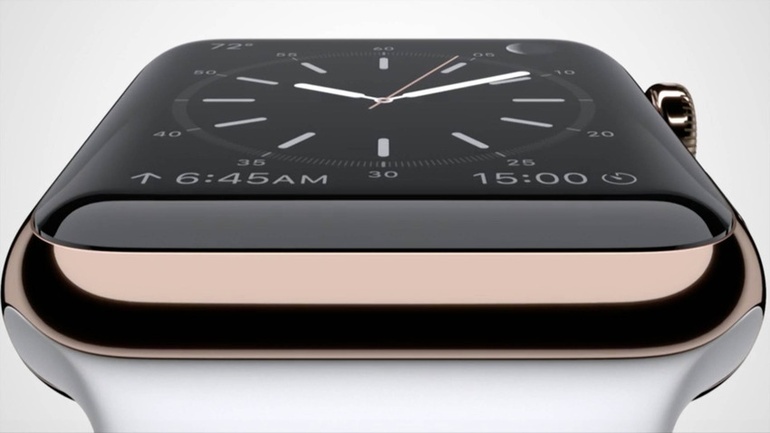 Dubbed by CEO Tim Cook as “the most personal device Apple has ever created,” the Apple Watch certainly doesn’t disappoint. Taking on the company’s signature minimalist feel, the gadget otherwise eschews any predictable features, focusing instead on “contextually specific controls” that give way to a range of different functions. With the option of different digital watch faces and six interchangeable straps on offer, personalization is just a quick swipe or swap away. Is this the future of wearable design?